Anjaneya Vratha Pooja or Hanuman Pooja given by Brahmanda Guruji Shri Narendra Babu Sharmaji in his Bruhat Brahmanda programme telecasted in Zee Kannada TV Channel. On a single day, you should keep one dot only once. On the next day, keep it next to dot kept on previous day. If you start keeping small dots, to complete from hip to tail, the number of days will increase. If you start with bigger once, the number of days will decrease. Completing from hip to tail is not important, before that offer your prayers to Lord Anjaneya "ASADHYA SADHAKA SWAMIN, ASADYAM TAVA KIM VADHA!RAMADOOTA KRIPA SINDHOO, MAT KARYAM SADHYA PRABHOO". If your prayers are not answered even though you have completed from hip to tail, again start from hip to tail continue with covering the mountain which he is carrying, head and his whole body. When you start againg after completing from hip to tail, offer honey or one block of jaggery (achu bella in kannada) keeping it on betel leaf everyday. Evening offer it to monkey or cow. After completing all this procedure, you have do Pavamana Homa at home. During homa offer honey abhisheka to small idol of Lord Hanuman. While offer abhisheka you should perform pavamana homa. sir I liked your advise a lot,still wanted to ask you one question as told by you V did but one saturday evening my father forgot to give it to cow by mistake so next day he gave that days and next day's double is it acceptable?also we can't do pavamana homa bcaz we don't know anything abt it .So what you suggest? This procedure was given by Brahmanda Guruji Shri Narendra Babu Sharmaji in his television programme. I have just posted it here so that it will be helpful to our readers. Kindly contact any authentic Guru or Archaks in your town of residence. I am a devotee like everybody else. OKAY NO PROBLEM THANK U VERY MUCH . 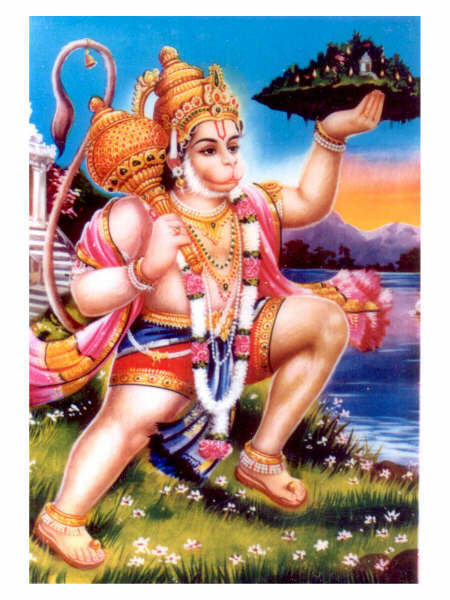 Jai Hanuman.Thank you for sharing the informative blog. It is indeed wonderful to read and useful.